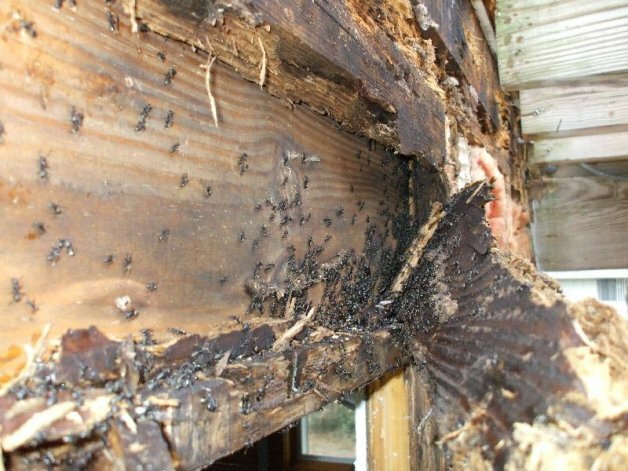 When you live in a home, you’re bound to run into problems with pests since it’s most likely constructed out of wood, ,making it very attractive for many pests to live in. Termites can be an annoying pest since they thrive on wood and can ruin the integrity of your home’s structure. Eastern Termite and Pest Control is Monmouth County’s local pest control company that can come perform termite inspection on your property and determine if termite control services are needed or not. We have a state-licensed professional on staff and have been in business for over 30 years, so you can trust in us to use the best termite control methods. Termites are social insects which live in colonies under the ground. 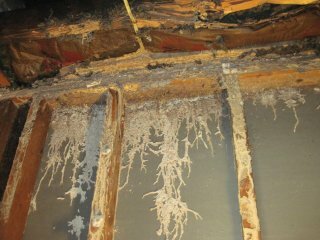 They come from the soil and generally enter structures undetected via hidden pathways in floors and foundation wall. They mostly live below the soil surface. Termites are also known as White Ants in some areas. There are over 2,600 species of termites worldwide. Only about 5% are significant pests to homes and buildings. In North America, damp wood, dry wood and subterranean termites are a threat to structures, with subterranean termites causing billions of dollars of damage each year. WORKERS – are white in color, wingless and soft bodied. Worker termites make up the majority of the colony. They eat wood in order to feed the others in the colony, and are known for the damage they cause. SOLDIERS – are also wingless, with a yellowish-brown head. Soldiers are the strong-jawed protectors of the colony, keeping out invaders and enemies such as ants. REPRODUCTIVES/SWARMERS – are winged adults (male – “king, female – “queen”). Body color varies by species from black to yellow-brown. Swarmers termites are the type most often seen by homeowners. Termites are small insects that are about half-inch in length. They are a pale color and some may have wing, depending on the type of termite that you have sighted. Typically, you won’t see actual termites themselves, but rather, evidence of their presence. Typically spring is when swarmers will begin to emerge inside a home. The presence of Swarmers in your home or their wings, which they shed, could be a sign of termites. It is essential to take immediate action at the first signs of infestation sin your home. Eastern Termite can help you if you have detected termites. The most obvious signs of termite damage in your home are mud tubes. 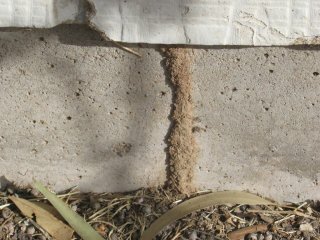 Mud tubes act a protection for termites and are commonly found near the foundations of your home. Check for signs of termite infestation in areas where wood contacts the ground. A termite’s diet primarily consists of eating cellulose. Cellulose is found in wood and plant fiber. Along with wood, termites can feed on mulch, books, paper and even insulation. Even if your home is built primarily of brick or stone, you can still find yourself with a termite problem, because structural supports as well as other building components are constructed of wood and other cellulose containing materials. If you believe that you have a termite problem and would like Eastern Termite and Pest Control to come for a thorough inspection, please give us a call at (732) 241-2334.